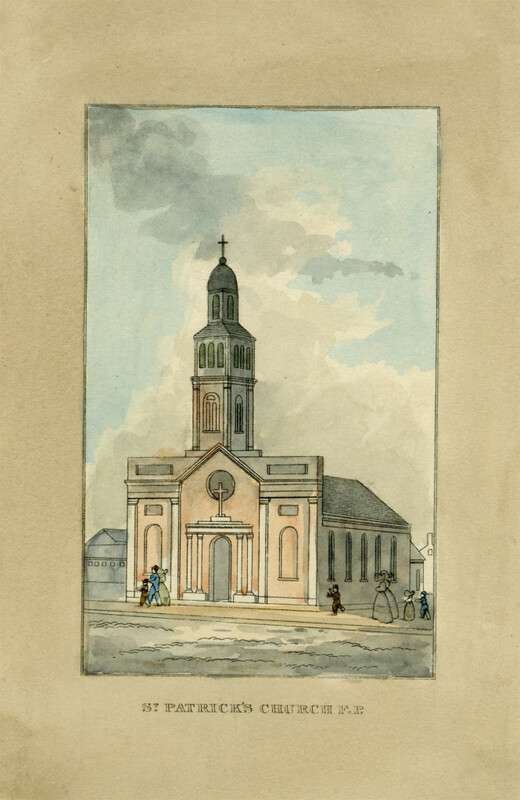 St. Paul’s Church from J.H.B. 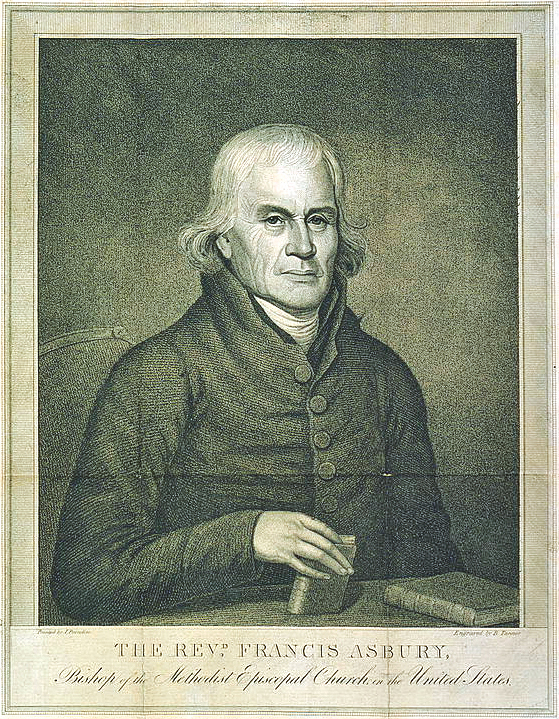 Latrobe’s Picture of Baltimore (1832). Johns Hopkins University Sheridan Libraries, F 189.B1 P53 1842 QUARTO. 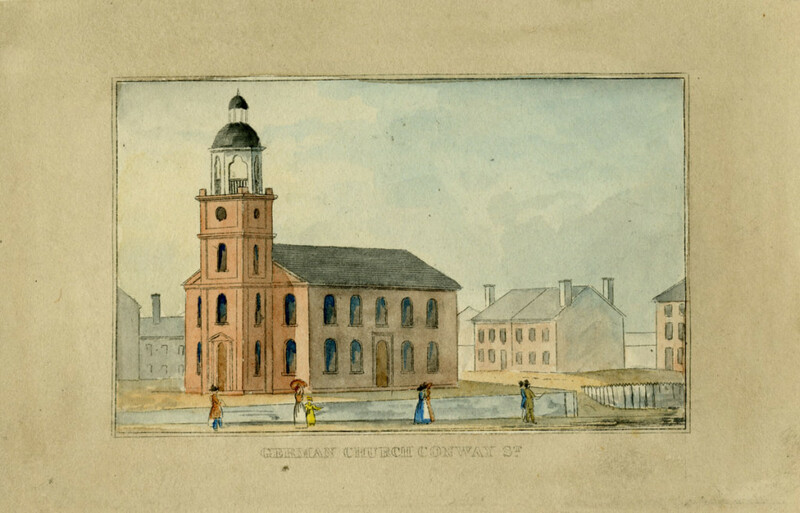 The ground upon which the Church stood, we have already remarked, was high, but that occupied by St. Paul Street and by the first five houses which front on Lexington Street counting from the corner of St. Paul had, as early as the beginning of the century, been reduced to the present level. 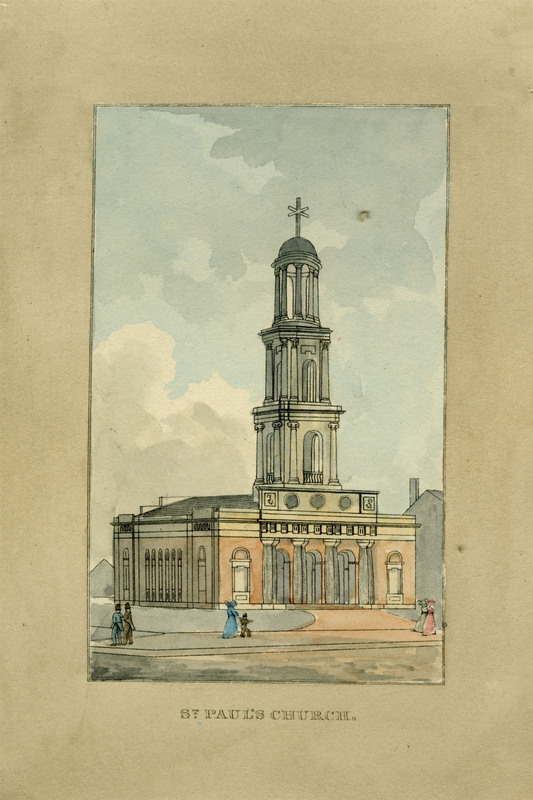 The consequence was caving in of the hill upon which the Church stood, which, about 1811 or ’12, was obliged to be protected by a strong wall the defence proved inadequate, and the consequence was that it was indispensable to build a new Church, hence the erection of the present S. Paul’s, which was consecrated in the year 1817. St. Patrick’s Church from J.H.B. Latrobe’s Picture of Baltimore (1832). Johns Hopkins University Sheridan Libraries, F 189.B1 P53 1842 QUARTO. On March 17, 1814, Catholic parishioners in Fell’s Point gathered at St. Patrick’s Church in Fell’s Point to participate in a “Divine Service” led by the Archbishop of Baltimore John Carroll and Reverend Benedict Joseph Fenwick. 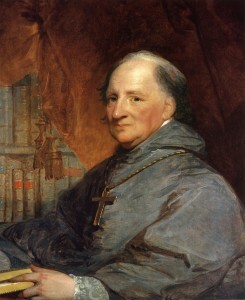 Bishop John Carroll, by Gilbert Stuart, ca1806. Georgetown University Library. “The 17th inst has been celebrated according to ancient custom, with great festivity and merriment by the sons of St. Patrick in this city. Though the Irish harp has been for some time unstrung, yet there was no lack of pipers, fiddlers and flutes on Patrick’s Day in the morning. A band of patriotic and excellent musicians paraded the principal streets, and complimented several gentlemen with airs most grateful to those who are always alive to Eire go Brath. Their efforts at the Fountain Inn on Light Street soon led to the formation of the Hibernian Society of Baltimore: an Irish civic organization that continues to organize annual St. Patrick’s Day banquets and celebrations up to today. 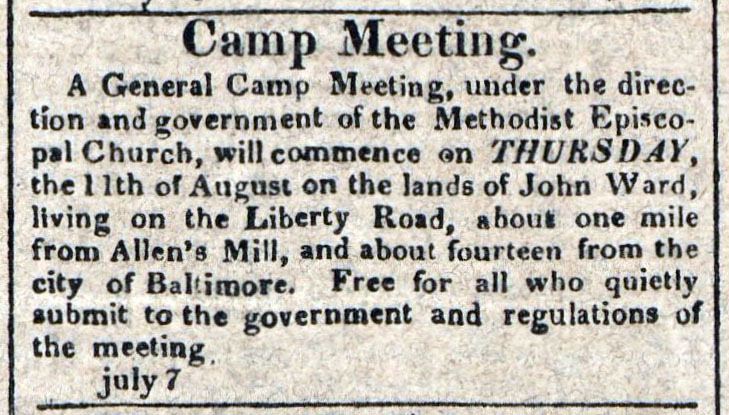 We found no account of the Hiberian Society banquet or other 1814 celebrations beyond the morning service (historian John Daniel Crimmins speculated that the blockade of Baltimore “temporarily interrupted the Hiberian Society’s functions”) but an 1813 account of an evening dinner (published in the American on March 20, 1813) opens a window on the how the War of 1812 affected the mood of the feast day. The friends of reform in Ireland—May success crown their efforts—May the happiness of emancipated millions be the result of their patriotic labors. Our short history of St. Patrick’s Day in Baltimore 1814 is largely based on the Baltimore chapter of the 1902 history, St. Patrick’s Day: It’s Celebration in New York and Other American Places by John Daniel Crimmins. Enjoy the full chapter on Google Books for more details on St. Patrick’s Day and early Irish history in Baltimore.